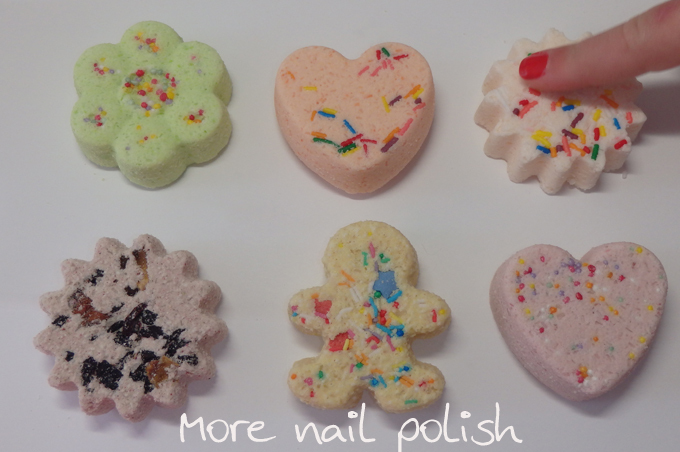 Mani bombs are the latest nail care craze and tonight I have a review of new Aussie mani bomb brand, LaBomb Mani Bombs. I'd seen a number of reviews of another mani bomb brand (Forever Polished) and I participated in a Australian group buy to try out the idea for the first time. 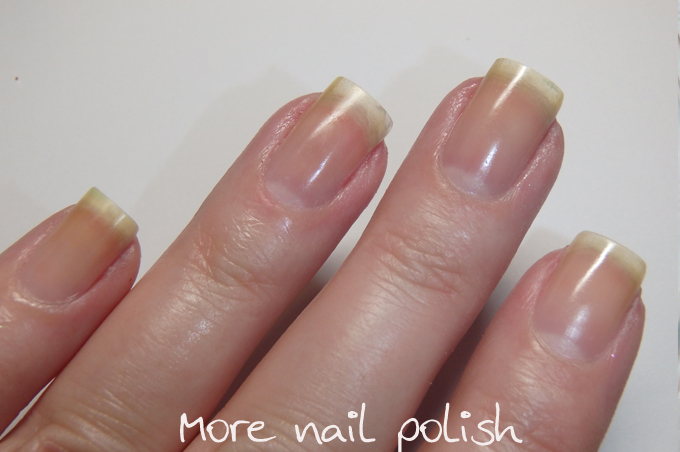 My experience with the first mani bomb I tried from Forever Polished actually put me off them a bit. My big gripe is that the mani bomb I used contained lots of blue iridescent micro fine glitter. When doing a nail treatment, the last thing I wanted was for my hands to be covered in so much glitter that I then had to scrub my hands to remove, therefore removing all the oils that were soaking into my skin. I was also disappointed that most of the mani bombs I had ordered were just a crumbly messy in a bag, rather that retaining any form of shape. I understand that they are fragile, and you can expect some breakages, but just getting powder in a bag made me feel like the ratios in the ingredients weren't quite right. Then I was approached by Aussie brand LaBomb Mani Bombs to sample some of their brand new line. I loved the idea of a mani bomb, just not the execution of the last brand so much, so I gave it another go. I received six gorgeous different mani bombs to try. Each comes in a zip lock bag with a label with all the ingredients on it. Each of the mani bombs is different in appearance. Different shapes, candies, shades, oils and scents. They all looked gorgeous and smelled incredible. Miss Four was very keen to try them out with me, so I let her pick which one we would use first. She chose the Mango Sorbet. It's hard to tell from these photos, as our hands just look wet. But they were actually silky smooth and oiled and so yummy smelling that you wanted to eat your own fingers. Here is an instavideo of my second La Bomb Mani Bomb, which was Nectarine and Honey. Finally, here is a naked shot of my nails about 10 minutes are finishing a LaBomb mani bomb and patting my hands dry. You can see how moisturized they still are. I love these. They give me the exact feeling I was hoping to get after my first mani bomb trial, which I sadly didn't get. 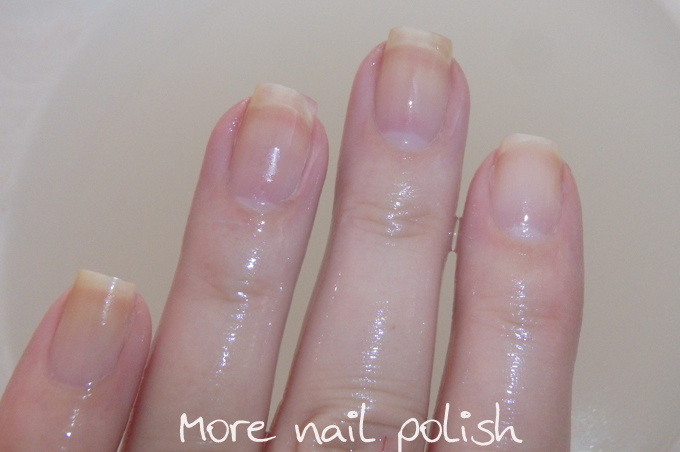 My hands looked and felt soft and smooth and the smell lingered on them until I washed my nails. These will definitely become a regular part of my nail care routine. 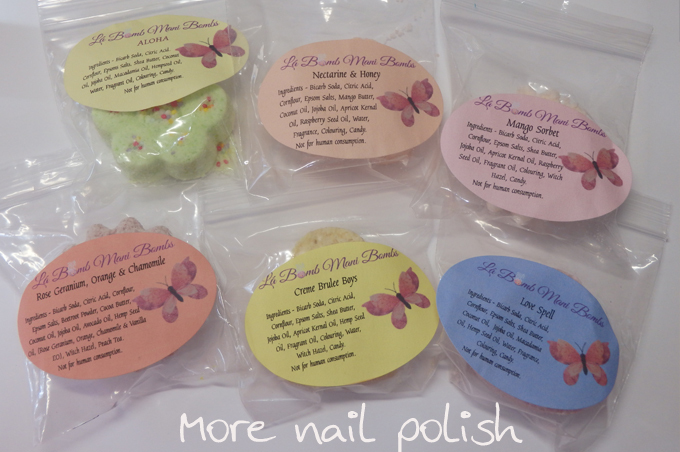 There are currently 25 different types of mani bombs available from LaBomb Mani Bombs, so you will be sure to find something in a scent that you like. Prices range from $1.80 to $2.20 AUD. 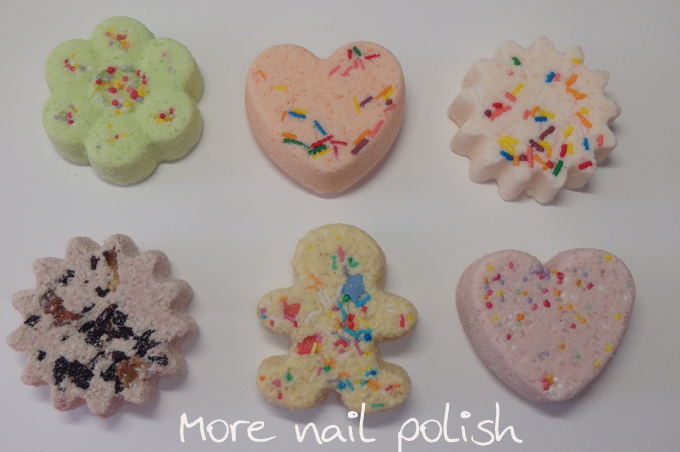 You can also keep up with the latest mani bomb releases on the LaBomb Mani Bombs facebook page. 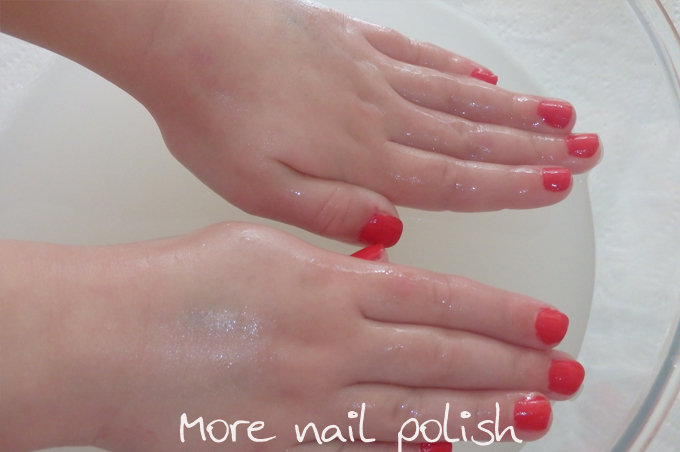 Some very random nail art inspired by a saucepan!